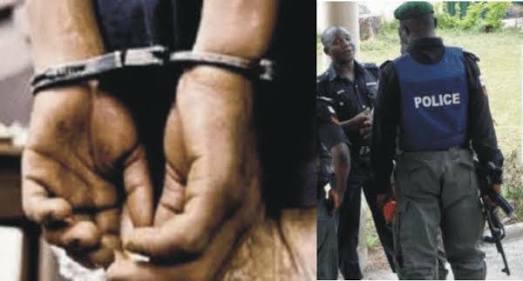 Two robbery suspects, Rotimi Adeyeye and Adeoye Bukola, have reportedly escaped from a cell of the Special Anti-Robbery Squad of the Ondo State Police Command. It was gathered that the suspects allegedly broke into the house of one Samuel Arifalo in the Ijoka area of Akure, and robbed him of some valuables on April 30, 2018. A source told Punch that they were later arrested and handed over to men of the Special Anti-Cultism Squad in Akure, who kept them in custody for 16 days. They were said to have been arrested for cultism instead of robbery. The source said, “Some residents of the area informed the state Commissioner of Police about the matter and the commissioner directed that the suspects be transferred to the Special Anti-Robbery Squad. The state Police Public Relations Officer, Femi Joseph, said the command had started investigation into the matter. He, however, said the suspects were not arrested for robbery, but for stealing and burglary, adding that the SARS officers on duty at the time of the escape had been arrested.